It's still too early for local fresh vegetables to fill our grocery stores' produce departments, but the California crops are showing up daily. And we're indulging at our house. Maybe you are seeing them in your stores as well, and are also indulging? If so, you'll like this tip I found on a great website, POPSUGAR.com. 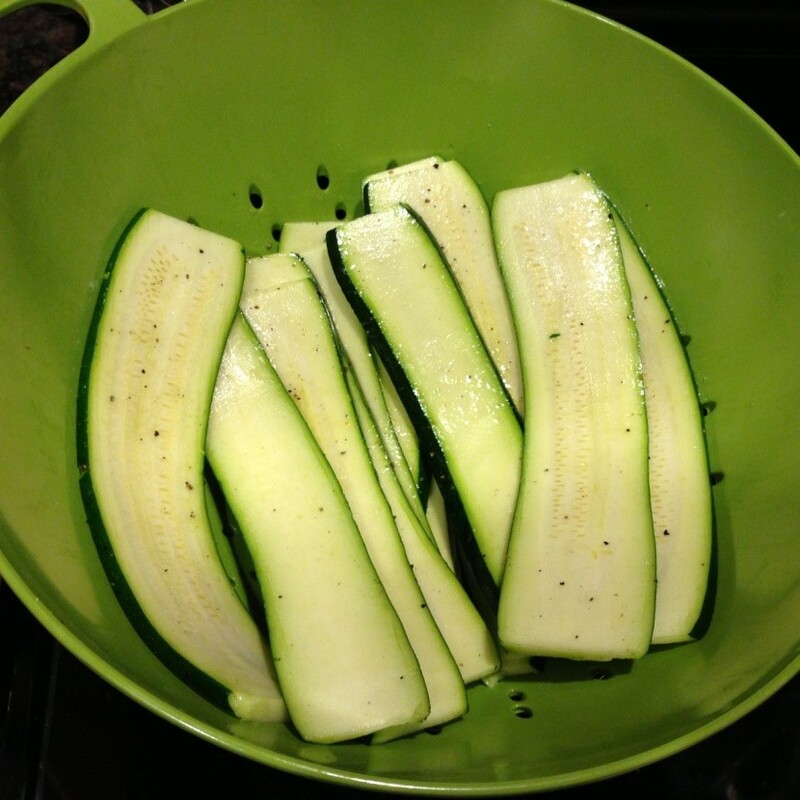 The author of the article I read, Susannah Chen, talks about how many vegetables, such as zucchini, cucumber, summer squash, and eggplant, have a high water content, and using them in many recipes turns out mushy, overly watery results. She shares advice from professional chefs on how to avoid this issue: "To prevent dishes from turning into a diluted, soggy mess, treat the vegetables by salting and draining them first." I didn't know this, did you? 3. Wait patiently for 15 minutes for the salt to draw out the water via osmosis. Then, depending on the amount of water brought forth, either pat the vegetables dry with a towel or drain away the liquid using a colander. This method, known as disgorging vegetables, works well for any dish where an excess of liquid would be an issue. 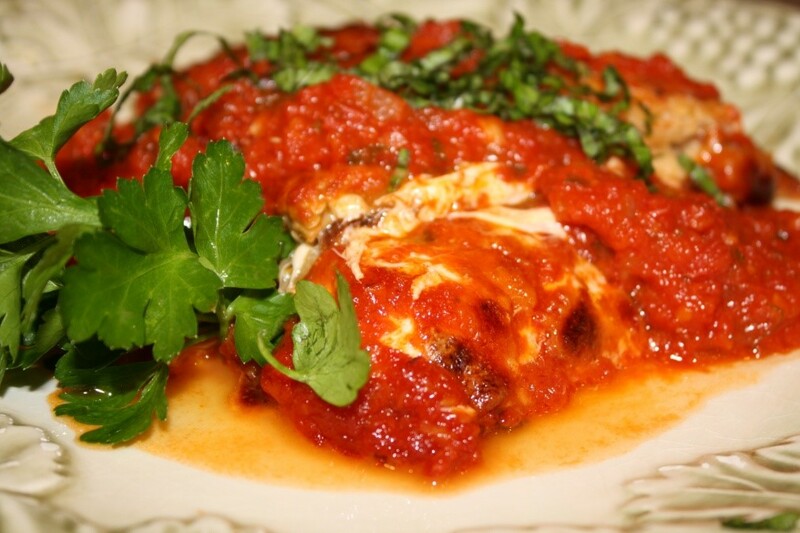 For instance, the eggplant parmesan pictured is sitting in a little flavored pond. While this doesn't necessarily create a disastrous dish, the presentation isn't all that appealing, and the overall texture and flavor are not as good as they could be. Cucumber salad, a veggie-packed quiche, or any other veggie pastry dish, are other examples of recipes that come out watery if disgorging isn't part of the prep process. 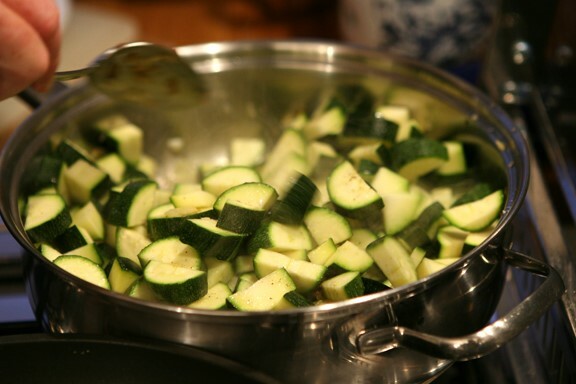 The end result will simply turn soggy if vegetables are too moist after cooking. Besides removing excess water, there are a couple other benefits to vegetable disgorging: First, and fairly obvious, this step makes them taste better-salt draws out flavor layers. Second, disgorging also helps reduce the bitterness that's sometimes present in older eggplants. So OK, that's how we handle fresh water-loaded vegetables. But what about using frozen vegetables? Have you noticed that even when you let them thaw out overnight, you find that they still render quite a bit of water when cooking? Me too. So I wondered if disgorging would work on the frozen version as well. I researched several cooking sites and professional chef's opinions and guess what? I'm happy to report the answer is YES! Disgorging using salt was the answer once again. 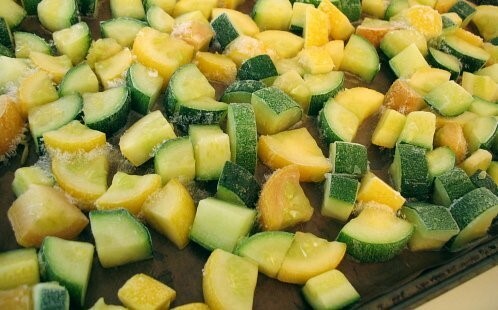 Several pros said "Sprinkle salt on the vegetables and let them sit overnight (or at least 6-8 hours), if possible. Remove the salt and the excess water by flushing in running water, then draining well and pressing between layers of paper towels before cooking them. Finally one last tip: Even if all you want to do is steam your veggies to use as a healthy side dish, do take the time to disgorge them before steaming. 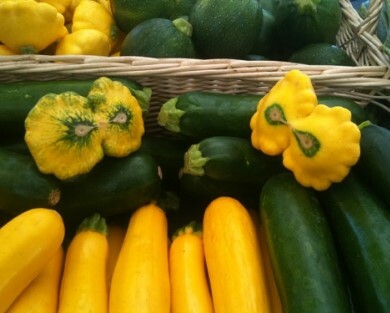 The outcome is not just a truer-tasting vegetable, the texture and appearance is better as well. It really doesn't take that long to do what the pros do when cooking water-loaded fresh veggies, and the end results are really worth the effort!